When planning a marriage proposal, there’s much to consider, from the ring to the wording of the question itself, but among the hardest decisions are where and how. Allow Culture Trip to take the stress out of location hunting by bringing you ten of the most romantic places in Australia to pop the question and put a ring on it. There are many places to pop the question in Sydney, and if you head to the harbour, the views will make for a postcard-perfect backdrop, but if your partner has an adventurous streak and isn’t afraid of heights, then take your proposal to the next level. Climbing the Sydney Harbour Bridge will not only get both of your hearts pumping but a proposal at the summit, 134 metres above sea level, will be the last thing they expect. Speak to the team at BridgeClimb Sydney who will help to organise the moment. With its pristine white beaches and aquamarine water, it’s no wonder that the Whitsundays in the Great Barrier Reef is the proposal capital of Australia, and one specific reef is particularly sentimental. Heart Reef was first discovered in 1975 and has a protected status which prohibits anyone from diving or snorkelling in its vicinity. It can, however, be seen from the comfort of a scenic flight. A heart-shaped coral reef may sound cliché, but your partner will appreciate the grand gesture and spectacular views, and after you pop the question, the pilot will pop some bubbly. Sweep your loved one off their feet by getting down on one knee inside Melbourne’s giant observation wheel. With panoramic views of Port Phillip Bay, Mount Macedon, and the Dandenong Ranges, the Melbourne Star is an easy-to-access, impossible-to-forget proposal location. One rotation takes 30 minutes, which gives you plenty of time to profess your love and enjoy the view. For a glittering perspective, hop on just before sunset. For an atmospheric and spiritual proposal, head to Australia’s red centre and stand before the sacred sandstone formation known as Uluru (Ayres Rock). Ripe in tradition and Indigenous culture, asking your partner to spend the rest of their life with you in the shadow of Uluru will leave you both with a great sense of admiration for each other and the landscape and history of Australia. You can even return to exchange your vows with the awe-inspiring Uluru in the background. 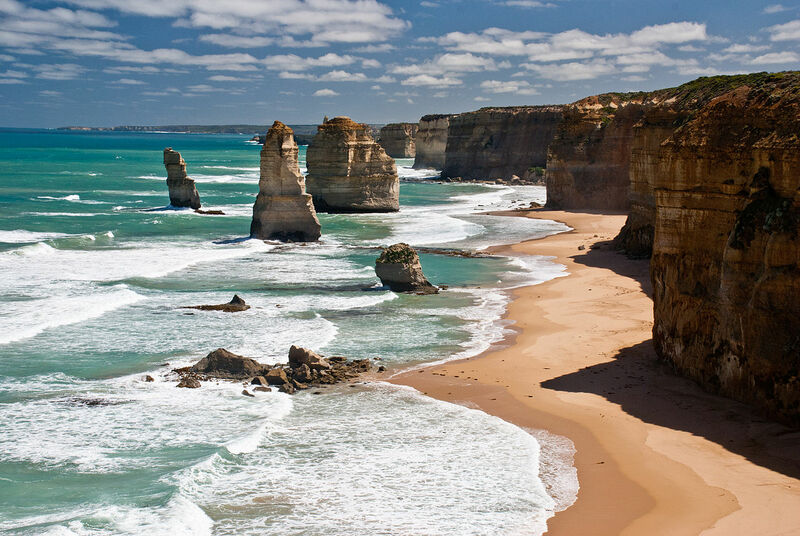 Located on the scenic Great Ocean Road, The Twelve Apostles offer a commanding and ever-changing coastal vista unlike any other in the world. Watch as the windswept pillars transform their colours throughout the day in accordance with the light. For an unforgettable experience, set your alarm and arrive to watch the pastel sunrise; this will make for a brilliant proposal setting. You may be sharing the moment with dozens of strangers, but the views will be worth it. 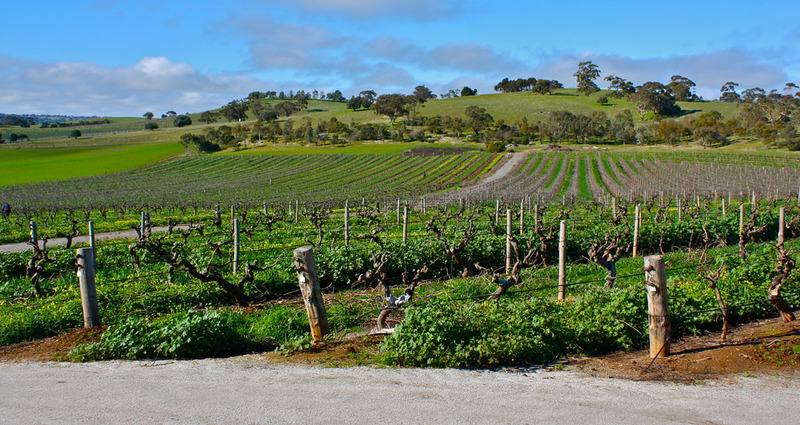 If you’re too anxious to wait all day, then pop the question bright and early during a Barossa Valley hot air balloon flight. This romantic bucket list activity will literally make you feel like you’re floating as you watch the sunrise and drift over the world-famous wine region with 360-degree views of the countryside and vineyards. Located an hour north-east of Adelaide, the Barossa Valley is our top choice for those looking for a peaceful proposal destination. Situated in Broome, Western Australia, Cable Beach is a 22-kilometre stretch of dazzling white sand, azure water and fiery tangerine soil, and while there is a lot to see and do in the area, for your special moment, Culture Trip suggests a sunset camel ride. While camels aren’t the most romantic of creatures, a sunset ride along the beach while looking out at the natural phenomenon Stairway to Heaven (March-Oct) will make your partner feel like an Arabian prince or princess on safari in some exotic faraway kingdom. For a proposal that will leave you both feeling on top of the world, visit Tasmania’s exquisite Cradle Mountain. 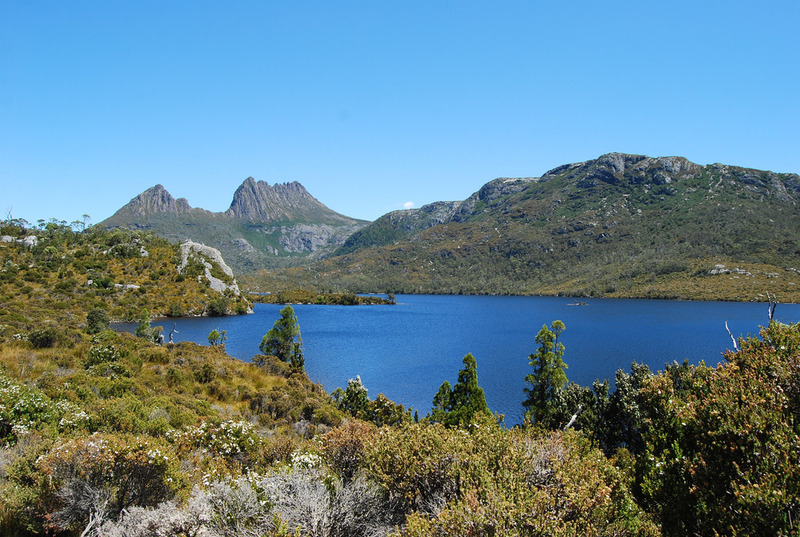 Choose between the reflective Dove Lake, the Overland Track or Lake St Clair, all of which are swept with natural beauty and rugged scenery. Your special moment might even be crashed by wombats, wallabies and possums, and if you’re hoping for snow, plan your trip between July and September. Australia’s premier spa destination is the ideal place to pamper your partner and induce relaxation before popping the question. Immensely serene, your time in Daylesford, Victoria will present with it a number of idyllic places to propose; it’s simply up to you to choose the opportune moment. Whether between treatments at Hepburn Springs, at the Glenlyon Estate boathouse or while walking through the lilac, lavender fields of Lavandula, any place in Daylesford will leave you both starry-eyed. A proposal in the midst of a majestic waterfall sounds romantic, but with Niagara Falls a staggering 16,000 kilometres away, it’s best to look a little closer to home. Luckily, Australia has plenty of cascades – any of which would set the scene for a proposal. 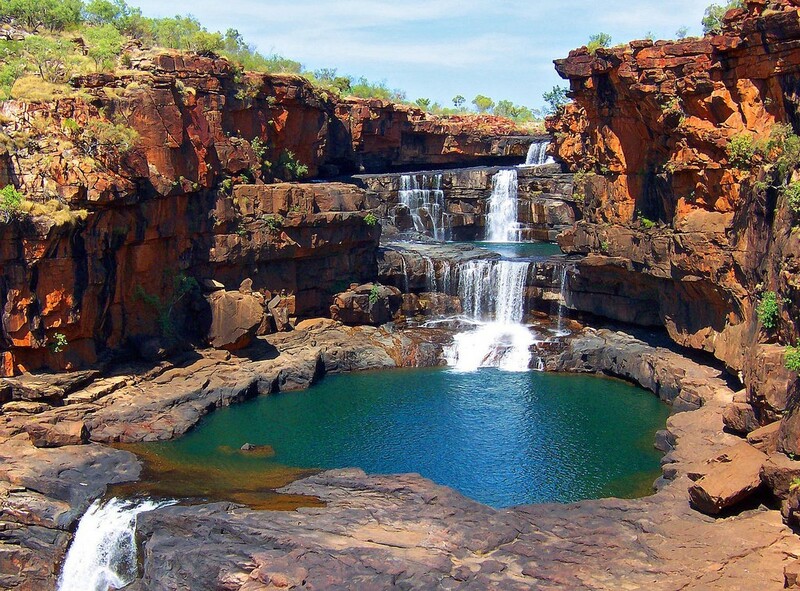 Among the most impressive is Mitchell Falls in Western Australia. Whether you put a ring on it while hiking across the Mitchell Plateau or while taking a dip in Mertens Creek, any spot here will impress your loved one.